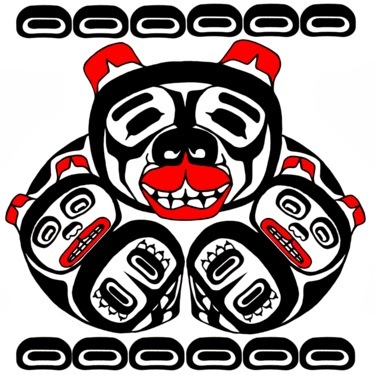 This amazing image, a PGSS AESN team logo, is from Prince George artist and educator Jennifer Pighin. 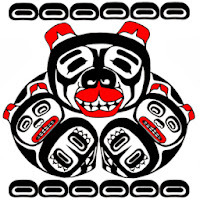 There are three different kinds of grants for educators available from the Aboriginal Enhancement Schools Network. This is a group associated with the Network of Inquiry and Innovation (Kaser, Halbert, formerly the NPBS) and supported by the Ministry of Education. These grants can be used for teacher release, learning resources, honoraria, student costs, (e.g. field trips), etc. -- a little wider open than most of the release-based grants we are used to through PGDTA and SD57. The broad emphasis is on Aboriginal student success and sharing of teacher/student work, but there are many ways this can take shape, e.g. teacher inquiry related to student transition, student inquiry that connects to Aboriginal knowledge and communities, or team inquiry at the school or district level (e.g. a common challenge for teachers, admin, and support staff). An overview of the three grants can be found on the http://www.noii.ca/ site (under Innovations) as well as more information. Best method to learn more or apply for one of the three grants is to contact deborahkoehn@gmail.com. I believe that all grant applications have an extended deadline of September 30th and have been increased to a maximum of $1500. They are quite flexible about how the grants are spent, but there is also a process for sharing work (and collaborating) along the way.